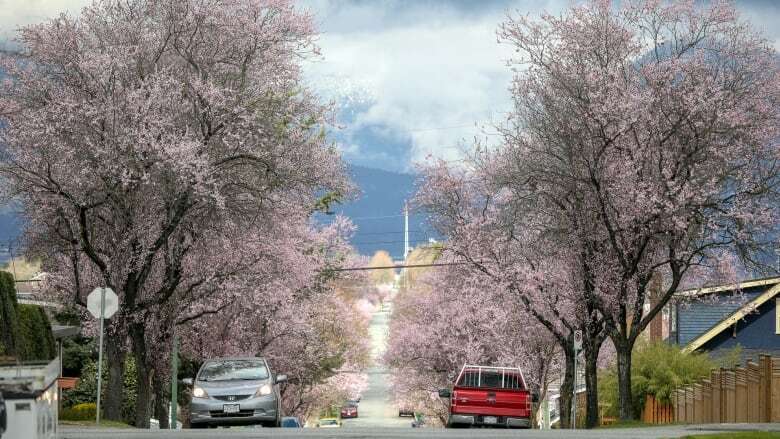 Cherry trees are more famous because they flower later than plum trees, says Vancouver tree expert David Tracey. While coastal B.C. 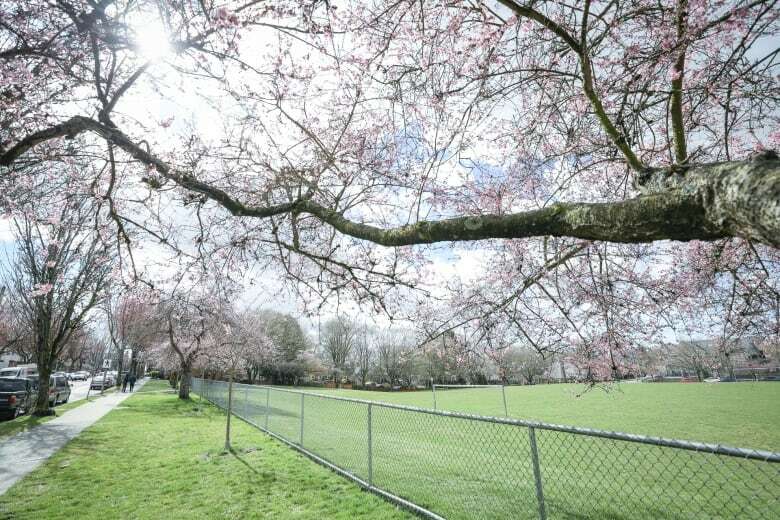 is famous for its spring cherry blossoms, a Vancouver-based tree expert wants to remind local flower fans that plum blossoms are just as prevalent this time of year. 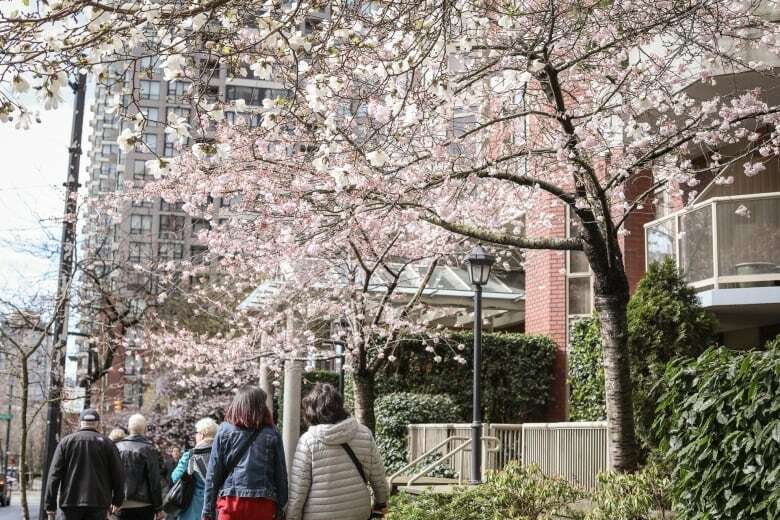 "Plum blossoms don't get the love that cherry blossoms do," said David Tracey, executive director of the Tree City Canada Association and author of Vancouver Tree Book: A Living City Field Guide. 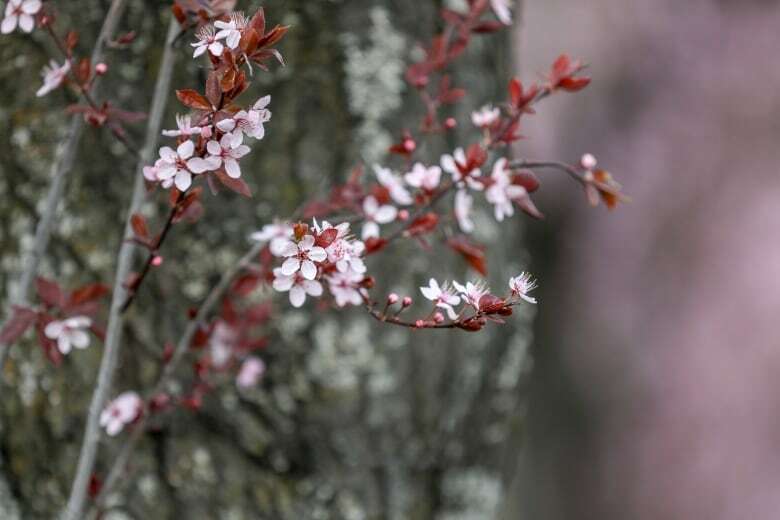 Tracey said plum blossoms have a "delightful" fragrance that can be smelled on a warm day — compared to cherry blossoms which have a more subdued aroma. "On a sunny day ... it will be like you're walking through a celestial palace with an intoxicating aroma that makes everybody happy," said Tracey. "If you smell that, it's plums, not cherries." 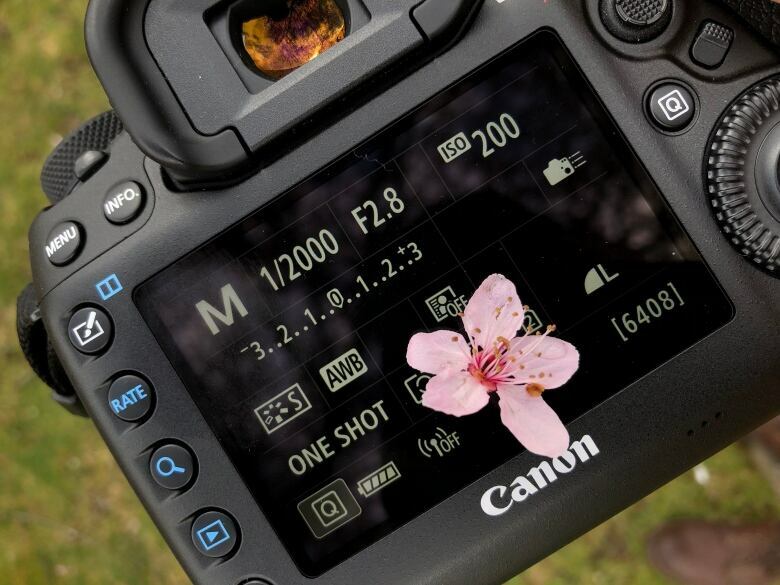 The blossoms can be differentiated with close inspection. 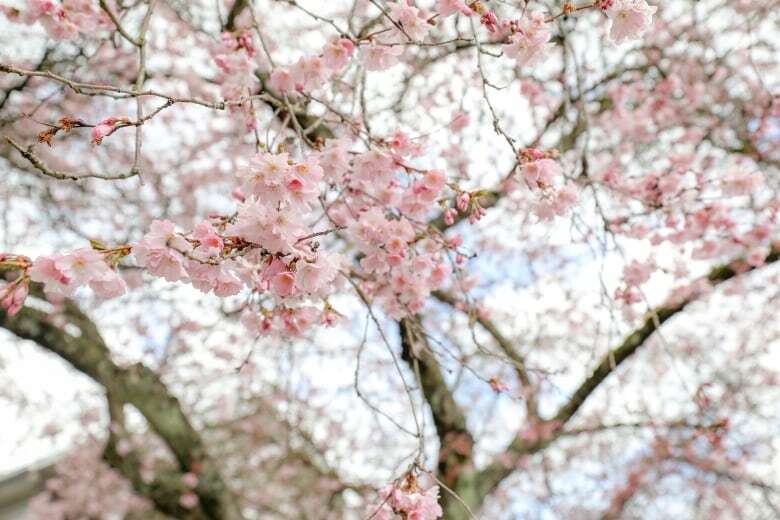 Both flowers have five petals but cherry blossoms have a distinctive split at the end of each petal. Also, only one plum blossom emerges from a bud, while multiple cherry blossoms can emerge from a single bud. 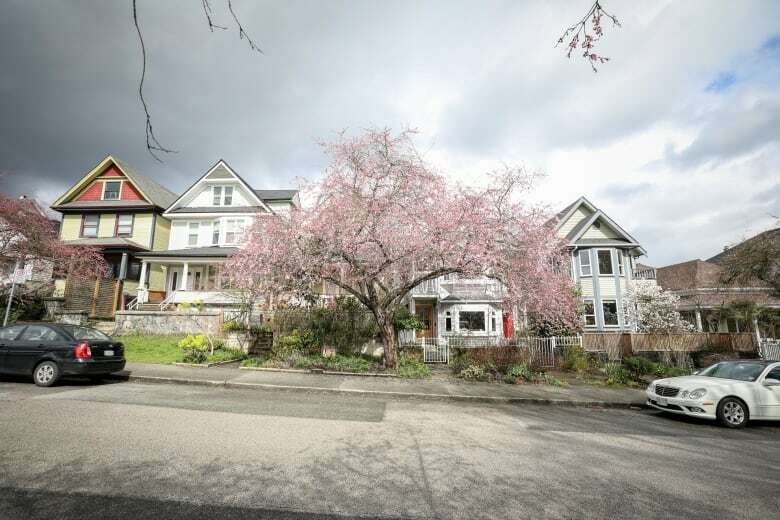 Tracey thinks cherry trees are more famous because they flower later than plum trees. Plums blossom earlier in the year, said Tracey, when the weather is still cold — typically from February to March. Cherries, on the other hand, blossom from March to April. 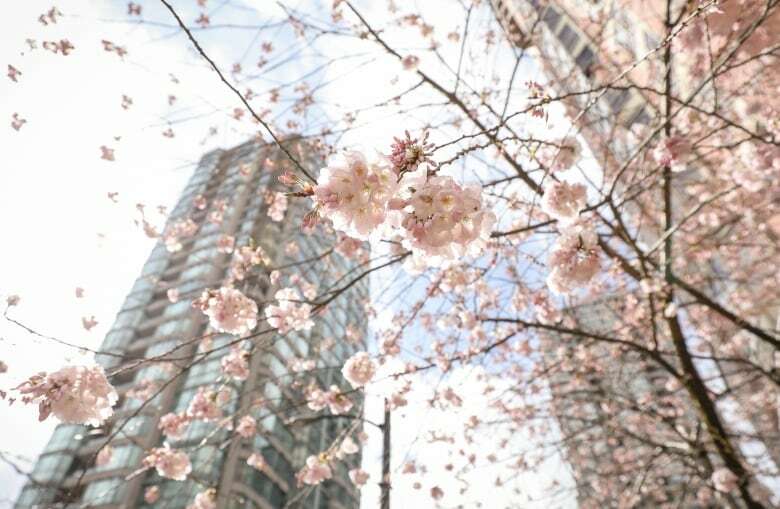 Because people tend to be outdoors when it's warmer and further into spring, cherry blossoms are encountered more often. Also, Tracey said plum blossoms don't have the same cachet as cherry blossoms because they haven't been culturally celebrated as often. Tracey pointed to the example of Japan, where people celebrate the blossoming cherries as a symbol of renewal. "To this day we're all about the cherry blossoms and plums just aren't getting it."